the collection of grey and white matter on the anterior surface of the pons that forms the bridge-like mass for which the pons was named. 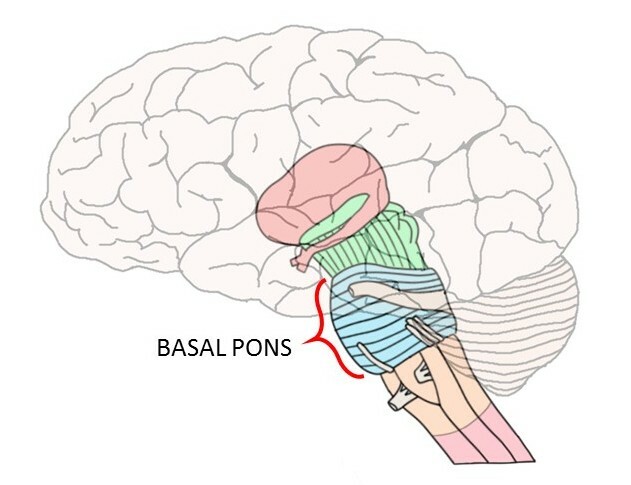 The basal pons is thus the most prominently visible external portion of the pons; it acts as an important connection between the cerebrum and cerebellum. Watch this 2-Minute Neuroscience video to learn more about the brainstem.